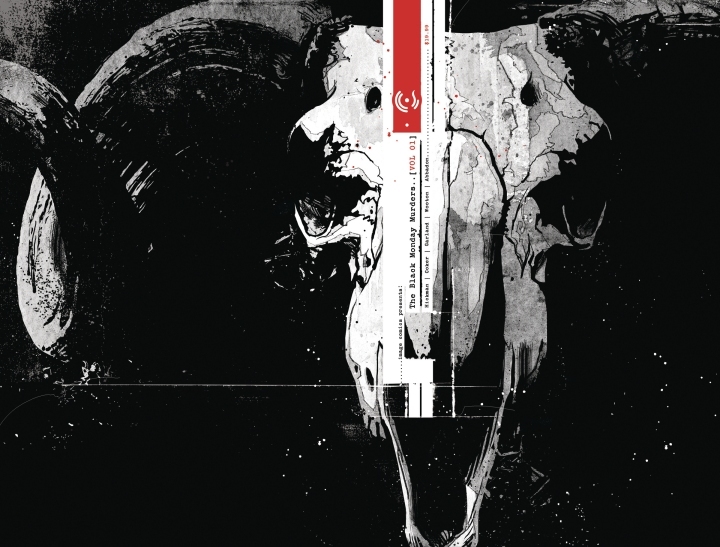 The Black Monday Murders Vol. 1 - Charley Brady - Opinons; My Own. “If you are going to earn more…if you’re going to earn real money, accumulate real power… then that is done on the backs of others. Call them workers, call them proles, even call them slaves, I do not care. Just know it is they who you will sacrifice for your gain. At some point in history a group of families have given themselves over to the Gods of Money. They are going to remain insanely rich and powerful, come what may, and one of the very minor aspects of the deal is that it will require a lot of blood sacrifice. But that isn’t too bad, because it’s mainly the ‘slaves’ that will take the brunt of it. Us, in other words. Maybe if I’d read this at any time other than the last week in May, here in sunny Ireland (yes, you read that right—the sun is shining!) I would have dismissed it as just too far-fetched, even for me. But this is the week that Ireland once more celebrates the fact that white collar criminals live by different rules and don’t go to jail here. Barring a few unimportant stooges, they simply don’t go to jail – ever. The banking cartels are our betters; it doesn’t matter that they have proved themselves totally incompetent and witless, running the country into the ground and — with the compliance of a bought government and a timid media — left us with a debt that it will take generations to pay off. None of that matters. As we have now had rubbed in our faces once again (and what slow learners we truly are) they are still perceived as being our betters. And, just as with the powerful bank cartels of this blacker-than-black graphic novel, we had better get used to it. There was wee Seanie FitzPatrick, the strutting and entitled little puffed-up popinjay and ex-head of the ‘disgraced’ Anglo Irish Bank, swaggering out of court this week as happy as a clam. Because of incredibly underhanded skullduggery he had actually been celebrating with his loathsome family and cronies before being officially acquitted of all charges. A bit like Viktor Eresko in the work of fiction at hand; and I put ‘disgraced’ because they don’t really think that there is anything to be ashamed about. With the daughter who knows what side her bread is buttered on, hanging off his arm, Seanie even thanked – thanked, mark you – the media for being so ‘restrained’. He got that right. Give or take the odd, honourable exception, the silence has been deafening. Wee Seanie, the midget with the Napoleon Complex, gets to swan off into the sunset. And we saps have to lick it up and ask for seconds. But this book goes too far, doesn’t it? I mean, these people wouldn’t be willing to kill just to stay swimming in lucre, would they? Funny, that: back in the real world the latest of the notorious Anglo Tapes this morning (28th May) lets us hear a senior banker and a Dublin stockbroker talking about ‘incinerating’ one person in Ireland — Professor Morgan Kelly — who accurately foresaw the sheer extent of the Irish debacle. One of these thugs-in-suits even quips that in a normal country like France cars would be swerving to hit him in the road. Is that really the sound of our top bankers and stockbrokers condoning and encouraging murder? Surely not. Then you remember that this is Ireland. Nice guys, these – both them and their families who benefit from the fact that creatures like Sean FitzPatrick and David Drumm are responsible for real people — the slaves — losing their homes and in despair often taking their own lives. Do they care? Not in the least; no more than the players in the dark parable that is All Hail, God Mammon care. Read this book the way it’s meant to be read: take in the long pauses that build a sense of utter dread and foreboding; study the texts that litter the volume and make it both a difficult and enthralling piece. The artwork is superb, from its bleak tones to its astonishing observance of body language. And at the end of nearly 300 pages you’ll realise that you have barely read the prologue – that the real meat is still to come. The investigation into the central murder of Daniel Rothschild and the shadowy world being stumbled into by the main investigator is only the beginning. And be warned: in amongst the pitch black narrative are some really disturbing scenes of violence. One such, that went on for pages, had me wishing that it would just end. I’d like to send a copy of this book to Sean FitzPatrick and his gang. I wouldn’t even have to concern myself that it might give them ideas. They’ve already had them. And to any of those elitists out there who complain that it’s only a comic book…well, when the mainstream media is too hamstrung to let us know what is going on, then doing it by metaphor in a popular medium is just fine with me. Especially when this book is that medium at its best. Published by: Image Comics, 2017. And I could live with Wee Seanie being IN traction, boom-boom! Thanks, Paula. I had a lot of acid in my stomach after seeing him walk free, so it’s probably ‘WAY over the top; but that’s OK because I’m not apologising. Across the pond over here the bankers are just petty crooks compared to the political elite ruling class. They will happily ruin the economy, get a lot of people killed and impoverish millions just so long as it gives them a bit more power and a few dollars more and then smile and say it is all for the good of the country. Bankers, politicians…I see very little difference. Here at the moment the manufactured ‘excitement’ is about whether Leo Veradkar or Simon Coveney will take over Fine Gael. As if it makes even the slightest difference. Neither of them needs the money — but boy, are they hell-bent on their bit of power. It’s depressing — and even more so when you see the same people being taken in time after time, thinking that the next one will be better, will do something different. Can you believe that ‘dishonesty in politics’ was thrown out by one of these clowns the other day? (And they are so interchangeable that I can’t even remeber which one.) And they actually had the brass neck to sound shocked, as if such a thing as political dishonesty had never before taken place!